As we all know, Oklahoma is home to the world’s most infamous anti-environmentalist, U.S. Sen. Jim Inhofe, who mocks climate-change science as a “hoax” developed by left-wing academics intent on destroying the fossil fuel industry. His arguments have been repeated so often by the corporate media that to some extent they’ve become part of a false public debate over global warming, which should not be a partisan political issue. Recently, Inhofe has been plugging his book, The Greatest Hoax: How the Global Warming Conspiracy Threatens Your Future, a tribute book to oil and gas companies, which have contributed $509,250 to his election campaigns since 2007. Meanwhile, as Inhofe fiddles, the nation and planet are showing great signs of global-warming stress, according to climate scientists. Fires have ravaged Colorado and Montana. Record high temperatures have hit several parts of the country in recent weeks. A drought in the Midwest will probably lead to increased food prices. Oklahoma recorded the hottest summer on record last summer. The general conclusion of the new research is that many of the extremes being witnessed worldwide are consistent with what scientists expect on a warming planet. Heat waves, in particular, are probably being worsened by global warming, the scientists said. They also cited an intensification of the water cycle, reflected in an increase in both droughts and heavy downpours. The signs are everywhere that the planet is getting warmer and that man-made carbon emissions from oil, natural gas and coal have contributed to it and created massive pollution in the process. To ignore these signs is human folly and tragedy. To actively work against the truth of climate change, as Inhofe does, raises a simple moral issue. Do we have a responsibility to protect the planet for future generations? I think we do, and I think many Oklahomans believe so as well. 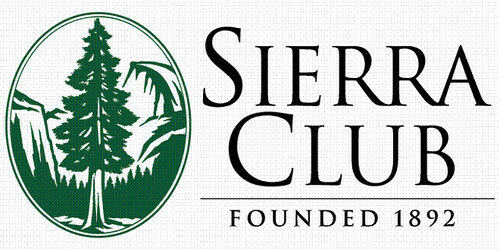 The Sierra Club, founded in 1892 by John Muir, the renowned environmentalist, works to preserve nature and protect the planet. It promotes “smart energy solutions to combat global warming.” It is one of the most powerful and effective environmental groups in the country. For more than a century, we have depended on fossil fuels to run our factories, power our cars and trucks, and heat and cool our homes. Now we are facing the consequences. Six of the last eight years were the hottest on record. Polar ice and glaciers are disappearing, sea levels are rising, coral reefs are suffering, plant and animal species are disappearing. And the wilderness areas and wildlife that the Sierra Club has worked so effectively to protect for more than a century are being threatened and lost. But we have the means to reverse global warming and create a clean, renewable energy future. Working with some of the world’s top climate scientists, engineers, and energy experts, the Sierra Club has developed a Climate Recovery Agenda — a set of initiatives that will help cut carbon emissions 80 percent by 2050, reduce our dependence on foreign oil, create a clean-energy economy, and protect our natural heritage, communities, and country from the consequences of global warming. Recently, David Ocamb joined the Oklahoma Chapter of the Sierra Club as its director. Ocamb, an Oklahoma native, has brought new energy to the organization in a state that has an overall poor world environmental image because of Inhofe and his supporters. That image could soon change for the better if our state Sierra Club chapter can get the support it needs. Oklahoma City Councilman Ed Shadid is hosting a fundraising at his home in the Founders Towers in Oklahoma City for the Oklahoma Chapter of the Sierra Club from 5:30 to 7 p.m. Wednesday, July 18. All donations are welcome. Here’s the Facebook invitation, which includes the address and map. Here’s how you can donate before the event or if you can’t make it. Global warming is real, and we need to respond to it.